I’m having one of those days today in which I feel like one more piece of bad news will break my heart in two. We have had a lot of those lately. Right now I am trying to avoid coverage of the tornadoes tearing through Oklahoma while reading the updates on a family I had to privilege to meet in Minnosota last summer (www.caringbridge.org/visit/cloverdohman). 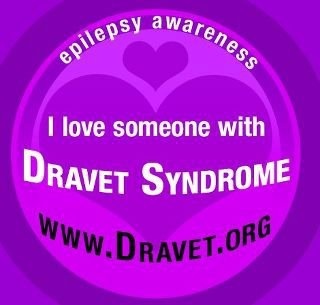 Clover has Dravet Syndrome, just like my Shelby, but Clover is only 4 years old. She had a 2 hour seizure last Wednesday followed by many, many seizures since then – including hours of non-convulsive status. After an MRI yesterday, her parents were told that sometime in the midst of all this, Clover has suffered a massive brain injury. The injury is so pervasive that the doctors are speculating that if she wakes up, she may be able to do nothing but breathe. Her mom Patty’s latest update today says, “I can’t stop crying and I don’t even try to anymore…I tell God we could use a miracle.” I’ve been telling Him the same thing. My heart has been so heavy of late through coverage of the Boston Marathon bombing, the tornado in Granbury, and particularly the devastation of the West, TX explosion. But this feels different. I can picture myself now saying about each of these events, “I can’t imagine,” as I prayed. “I can’t imagine” as I waited for more news. But this – a Dravet child with a seizure induced brain injury – I can imagine it. I can feel it in my soul. It’s a fear that lives inside of the part of my heart that I rarely access, because I turn it over to God daily, sometimes hourly. So even though I pray fervently about many requests for friends and strangers, this prayer for a miracle comes from a different place in my heart. In the same way that I can relate to the plight of the Dohman family, I serve a Savior who understands our pain and sadness. He came down to earth and felt it himself – still feels it with us today. I take great comfort in this and hope the Dohmans can too. Hebrews 4:14-16 says, “Therefore, since we have a great high priest who has passed through the heavens, Jesus the Son of God, let us hold fast our confession. For we do not have a high priest who cannot sympathize with our weaknesses, but One who has been tempted in all things as we are, yet without sin. Therefore let us draw near with confidence to the throne of grace, so that we may receive mercy and find grace to help in time of need.” The Dohman family’s need is great. Won’t you join me in laying the request for help and healing before God’s throne today?